Kerronicle is the student newspaper of Alief Kerr High School, 8150 Howell Sugar Land Rd., Houston, Texas 77083. The publication is produced by the student newspaper staff in the Advanced Journalism Newspaper class, with some content supplied by Journalism I and Safari Yearbook staff members. The publication serves as a medium of communication for its readers. It exists to inform its readers about the school and community, school policies and their changes, and entertainment features of interest to teens; it is also a forum for student expression. Content is produced either directly for web publication, or for the print edition of Kerronicle, which is published six times each year. The web site is updated each week as news events occur. Production costs for the print edition are provided through advertising sales. Fees for the domain name and web hosting for Kerronicle.com are provided by Project for Better Journalism. Advertisers interested in placing an ad in the print Kerronicle or on the web site should contact the staff at 281-983-8484 ext. 267 or at the mailing address above; advertisers can also contact publications adviser Laura K. Negri at [email protected]. Kerronicle is a member of the Interscholastic League Press Conference and Quill and Scroll, the International Honorary Society for High School Journalists. 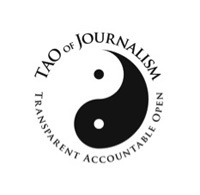 Kerronicle staff members have taken the TAO of Journalism Pledge to be transparent, accountable and open. See The TAO of Journalism website at http://www.taoofjournalism.org/ for more information. Any complaint, correction or letter to the editor should be formally submitted via email to [email protected] We reserve the right to grammatically correct Letters to the editor or trim to fit allotted space. Per Kerronicle Policy – all corrections will run immediately. Kerronicle has a firm commitment to privacy. We take your privacy concerns seriously and want to make every effort to address them as we strive to offer our site visitors a high quality, interactive and personalized experience. That is why we have adopted the following policy, which explains our position on information gathering and how we intend to use and share any information we collect. It is important to note that this policy applies only to information collected by Kerronicle and does not apply to information obtained or used by Kerronicle or its affiliates through other means. Like most Web sites, Kerronicle also collects and logs information automatically and through the use of electronic tools that may be transparent to you, such as your IP address, the name and location of your Internet Service Provider, the type and version of your browser, the length of time that you stay on Kerronicle, search queries, your click-stream data, the location that referred you to Kerronicle and the average number of pages viewed. If you visit another website prior to browsing Kerronicle, that website might place personally identifiable information within a URL, which may be logged by us. Your IP address is the identifier assigned to your particular computer when you access the Internet. Depending on how you connect to the Internet, your IP address may always be the same, or it may change each time you access the Internet. Note that logging your IP address does not in and of itself provide us with your name, e-mail address or home or work address. We use this log information for systems administration and troubleshooting purposes and may also use it to gather general demographic information about you such as your general location and your Internet Service Provider. Most standard Web browsers contain a feature called “cookies,” which allow a Web site to place information about a user’s visit to that Web site in a small data text file that is stored on the user’s computer. Our use of cookie technology will likely be transparent to you and is used to recognize you and hold information from one visit to the next in an effort to increase your ease of use of Kerronicle and to allow us to better understand how people use our site through click-stream analysis. We also reserve the right to disclose Personally Identifiable Information when deemed necessary or appropriate to comply with the law, respond to claims, protect our computer systems and customers, ensure the integrity and operation of our systems, or protect the rights, property or safety of Kerronicle, its affiliates, or others. Kerronicle may send you information via e-mail about various products or services that we believe may be of interest to you, including e-mails about purchasing yearbooks and ads and updates to our site. Kerronicle expects its partners, providers of content and services and advertisers to respect the privacy of our users. Be aware, however, that third parties, including our partners, providers of content and services, advertisers and others accessible through our site may have their own privacy and data collection policies and practices. For example, during your visit to Kerronicle you may link to, or view as part of a frame on a Kerronicle page, certain content that is actually created or hosted by a third party. Also through Kerronicle you may be introduced to, or be able to access information, services, Web sites, features, contest or sweepstakes offered by other parties. Kerronicle are not responsible for the actions or policies of such third parties. You should check the applicable privacy policies of those third parties when providing information on a feature or page operated by a third party. For certain electronic commerce services on Kerronicle, such as placing classified ads electronically or buying a yearbook or newspaper subscription, we require additional information. To complete these transactions, we may collect information from you such as your name, credit card number and other financial or Personally Identifiable Information. We endeavor to protect the security of your payment information during transmission by using Secure Sockets Layer (SSL) technology, which encrypts information you submit. You should know that when you voluntarily disclose personal information on the Kerronicle web site (for example, in the discussion forums), that information can be collected and used by others and may result in unsolicited messages from other people. While we do our best to protect your personal information, we cannot be responsible for information that you choose to publicly disclose. Although we make good faith efforts to store the information we collect in a secure operating environment that is not available to the public and to work with responsible third parties, we cannot guarantee complete security for your information. In addition, our advertisers, content providers, partners and other Internet sites or services that may be accessible through Kerronicle have separate data and privacy practices that are independent of us, and we disclaim any responsibility or liability for their policies or actions. Please contact those sites directly if you have questions about their privacy policies. All content on Kerronicle is strictly protected by copyright laws. We’ll be glad to allow use of our photos once permission is granted. Contact [email protected] for usage of content. An identification of the material on Kerronicle that you claim is infringing or is subject to infringing activity, with enough detail so that we can locate the material on our site. Kerronicle is a digital news source, but it is still part of Kerr’s historical record. Kerronicle’ primary purpose is to publish the truth, as best we can determine it, and be an accurate record of events and issues from students’ perspectives. Writers and editors use the 11 “Put Up” steps before publication to ensure the validity, newsworthiness and ethics of each article. For these reasons, the editorial board will not take down past articles except in extraordinary circumstances.